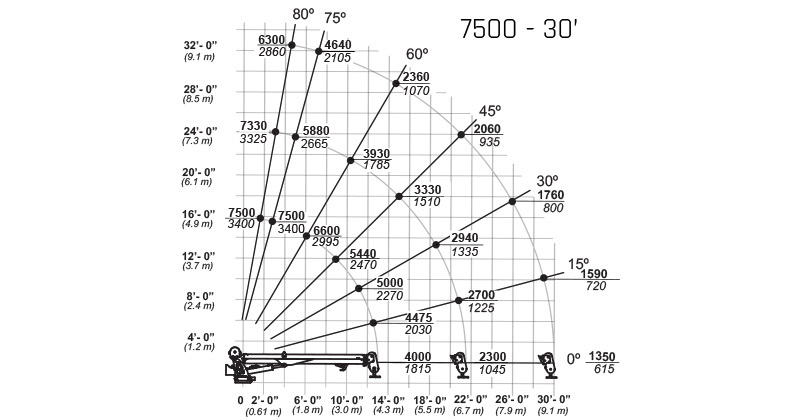 7500 - Iowa Mold Tooling Co., Inc. : Iowa Mold Tooling Co., Inc.
Let our telescopic cranes take on the heavy lifting. 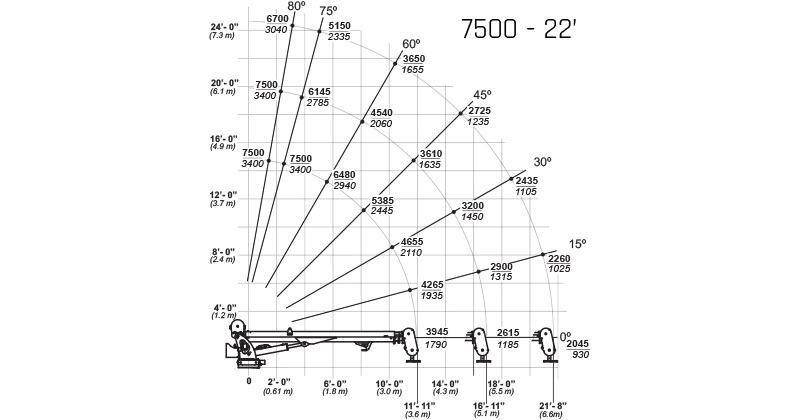 The IMT 7500 Series telescopic crane has a maximum lifting capacity of 7500 lb (3401.9 kg) and a horizontal boom reach of 30’ (9.1 m) — the longest in the industry. 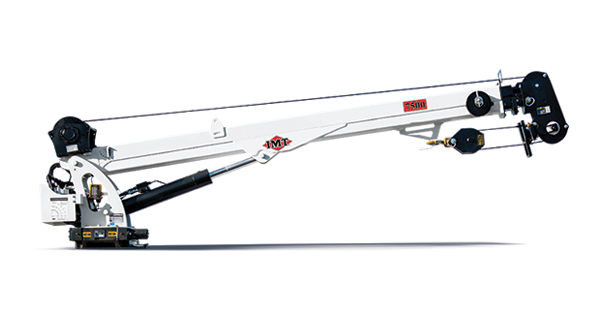 Featuring our patented PentaBoom™ design, this crane is built for strength and control, and when combined with an IMT Dominator® mechanics truck, creates the ultimate service and maintenance truck. Max. Horizontal Reach 30'10 "